As much as I want it to still be 2015, it's not. That's come and gone, just like my imaginary relationship with Jennifer Lawrence. Though, 2015 - just like my faux interaction with J-Law - was a magical time. Sure, it could be argued that there have been better years of film; but 2015 had that indescribable uniqueness (that je ne sais quoi factor, if you will) which differentiated it from the crowd. It was a year of westerns, biopics, space travel, and a whole lot of indie gems. Now before I continue, I need to stress that the forthcoming list is all personal preference and this list will be spoiler free. Also, as is the case with almost any list, there will be films on here that you, dear reader, love that didn't make the cut. That doesn't mean I didn't enjoy those films, or think that they were well executed pieces of cinema; or maybe I just didn't even get a chance to see them. Whatever the case, I would love to hear your thoughts in the comments. So, without further adieu, here are a few that didn't quite make the cut. Predestination – Eight or so plot twists, time travel, and Ethan Hawke - that is enough for me to watch this again and again and again. . .
Mississippi Grind– Ben Mendelsohn and Ryan Reynolds give their all in one of the most compelling looks at gambling I have ever seen. 5 to 7 – Anton Yelchin is once again great in this quirky, intimate and nuanced look at a different kind of love. Ant-Man – Saw it multiple times in theatres due to it just being such a fun time, but ultimately it lacked the substance and impact to place it higher. The Walk– Even if I wanted to love The Walk much more than I did, it is a joyful cinematic experience like no other with an otherworldly brilliant last forty five minutes. Slow West- It had me coming back for more with such a vibrant, and bloody landscape on top of one of my favorite finales of the year. This is a movie that is surprisingly a lot more entertaining than I ever thought it would be, as I am not typically one for a biopic - especially ones about @$$holes. Sure, I knew there would be great performances as Michael Fassbender is usually fantastic and Kate Winslet is, well, Kate Winslet. What I wasn't expecting was just how compelling and propulsively paced this film would be. We are placed in this constantly urgent, constantly dramatic situation. This would all be for naught without the great dialogue to back it up, as Aaron Sorkin's script is one of the most dialogue heavy things to come out this year. Thankfully, it all feels so authentic and clever (even if you understand that the conversations aren't word for word true and occurred somewhere else in time). Ultimately, it is these conversations that eventually wear out the welcome of the film; but, all in all, Steve Jobs is just a joy ride from start to finish. Out of all the films this year, Hateful Eight might be the funniest thing I saw all year - and it wasn't even a straight up comedy! That is Tarantino for you. His dialogue just oozes off the screen hitting at all of your emotions. The characters are just inherently ridiculous and flawed, but also just so believable. There are so many meaty performances here that I don't know where to begin. Hateful Eight is also one of those films that you can see having a lasting impact. Thirty to fifty years from now, we could look back and hail this as one of the better things to come out of this side of the millennium, with its deliberately old fashioned style intermixed with its progressive message. I don't know what it is about While We're Young that made it have such a lasting impact. Maybe it is that I love Adam Driver so much. Maybe it is the humor. Maybe it is the ending. Maybe there actually is something meaningful and worth talking about in the middle of the narrative about age, narcissism, and authenticity. I just have grown to love Noah Baumbach's style of filming. His characters are so relatable, nuanced, dramatic and just so dang silly. Now, I am not saying this is a film for everyone. The quirky style - rightfully said to be a more realistic take of Wes Anderson's brand - is off-putting for some. For me, I love it all the more and is the reason I believe this niche of filmmaking can be so compelling. What We Do in The Shadows is another one of those films that I wasn't sure why it left such a lasting impact on me. Sure it is funny, as it's probably the most consistently funny thing to come out this year. But, it's not THAT funny; Or is it? The more I think about this film though, the more it puts a smile on my face. The premise of a documentary crew following around a group of goofy, ridiculously ignorant vampires is just pure comedy gold. They way they are able to pay homage to the history of Vampires without being bogged down into an inside joke, is really impressive. Though, more than that, What We Do in The Shadows is way funnier than it ever should be. I'm not sure if this brand of humor (mostly the The Flight of the Conchords) is for everyone. For those who love their humor though, you are in for a treat. Initially I was absolutely floored by Fury Road. It has some of the most impressive action scenes, cinematography, and production design I have ever seen in film. There is also a beautiful quietness and serenity to the film at moments that is truly touching. If it weren't for essentially one thing, this might even be my number one of the year. There are some really problematic undertones to Fury Road. The ideas it contains about the inherent nature of men and women is the reason, sadly, why feminists are viewed in such a negative light when they actually have something to say. If you can take this out, we have something special on our hands. Except, we can't. At a time, I would have said this was my favorite film of the year, and in a way it still is. The duel performances of Paul Dano and John Cusack are breathtaking. As is seen with the case with most of the films on the list, there has to be an authenticity and believability to the emotion for me to buy it. This require a narrative that is willing to pursue the truth and dig deeply into heartfelt issues. Love & Mercy does this in a way that is so brave as it willing to show inside the mind of a mental illness. It is this courageous authenticity and sincerity that requires a level of acting ability many just don't have. The completely undervalued John Cusack sells it all as the brilliant, and troubled Beach Boys leader Brian Wilson; but ultimately it is the one of a kind performance from Paul Dano that elevates this film to another level of brilliance. I think it might be just me, but I believe that Mockingjay - Part 2 really didn't receive the love it should have. There is a warmth and nuanced beauty to the script that is lost under the hype of it being the action film to end all action films. Let me be utterly clear, The Hunger Games films have never been action films. They are a critique on action films. Yes, the Hunger Games is many things; but it is a drama, straight up with some of my favorite characters I have ever seen on screen. Yes, I love Jennifer Lawrence; but I want to devote this paragraph to Josh Hutcherson. His growth as a character and an actor is something we almost never get to see in Hollywood or film for that matter. 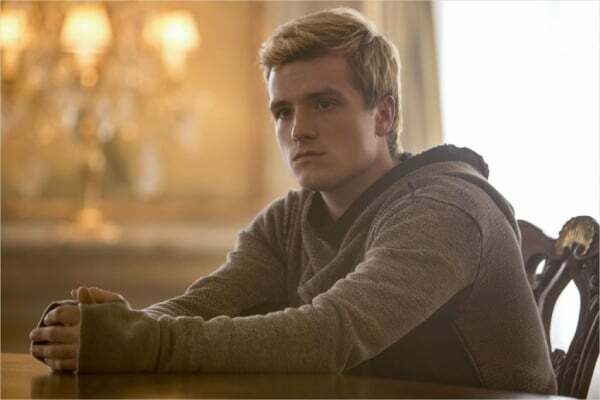 The fully realized development of this overly sweet, love puppy Peeta into this strong, twisted, yet empathetic, fragile character transcends gender stereotypes and is a revelation - a word fit to describe the audacity and beauty of this wonderful series. I've talked more in length about this film, and watched it more than any other movie this year. Star Wars holds a special place in my heart and being able to return to a long time ago, in a galaxy far, far away was truly a joyful experience. 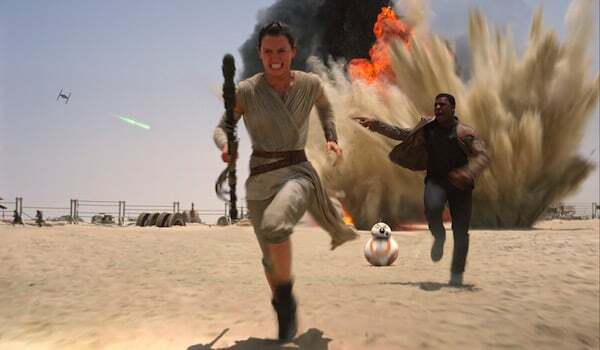 J.J. Abrams gave all he could and then some in developing this richly realized cinematic experience. Everything feels so real. The attention to detail with EVERYTHING is mind boggling. The camera work, editing, and John Williams' score should also be mentioned; but it is the centerpieces of the film that truly give it life. Everyone has their moments, but it is Daisy Ridley as Rey and Harrison Ford as Han Solo that steal the show. The Force Awakens is funny, emotional, dark, exciting and one of those films that is only more enjoyable each time you go back to it. Room broke me. I left a changed person walking out of the theatre. That is something I am not sure if I can say about any other film this year. Everything is just so stellar here that I don't know where to begin. Let's start with Brie Larson. I have loved her work for quite a while (I still contend that Short Term 12 is a masterpiece). Here, she brings this complex, emotionally dynamic performance and just makes it seem so effortless. This is not even talking about Jacob Tremblay who delivers quite possibly the greatest child acting performance I have ever seen. Their chemistry together is something I am not even fit to describe. All of this is layered on such a timeless story of captivity seen bravely through the wonder of a child's eyes. 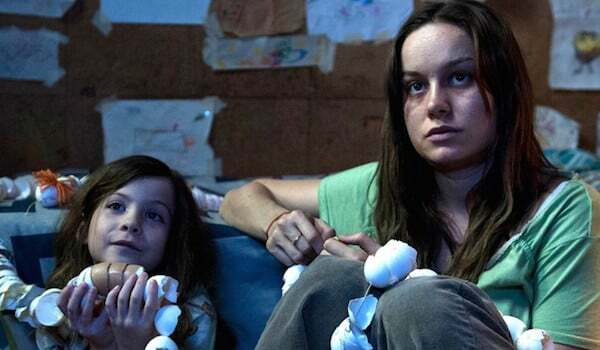 Room is not only my favorite film of the year, but one of the best movies I've ever seen.